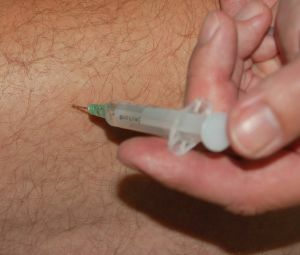 Drug companies encourage mature men to visit T-Clinics or request from their physician testosterone replacement therapy to reverse these symptoms. The advertisements claim men will be able to reclaim their youth by seeking these treatments. This has led to a nearly 500 percent increase in the number of men taking testosterone replacement therapy (TRT) injections, or using TRT transdermal creams, gels, patches, or taking oral testosterone. The medical community has become rightly concerned that this can lead to serious complications stemming from use of a medication patients probably didn’t need in the first place. As our Boston testosterone lawyers can explain, doctors don’t really know what it means for a patient to have a lower-than-average testosterone level, and many don’t know if there is any benefit to taking TRT drugs. What is known is that taking TRT drugs can lead to serious adverse events such as heart disease and an increased risk for having a stroke. According to a recent article from ABC 7, experts now warn TRT drugs can be dangerous. In addition to the risks for heart attacks and increased risk of stroke, TRT drugs can also cause blood clot disorders and irregular heart rate. As a result, the FDA convened a panel last month to examine the heightened risk associated with aggressive marketing of unnecessary drugs. These marketing firms and drug companies are raking in billions of dollars in profits, but the benefit to consumers is questionable. The panel concluded drug companies should be required to perform studies of long-term effects of TRT drugs on patients with a focus on its impact on the human heart. When the FDA first approved TRT drugs in the 1950s, they were rarely administered. They were only approved for an extremely rare condition known as hypogonadism. However, due to the large amount of ambiguity in the definition of hypogandism and FDA labeling requirements, drug companies have been successfully marketing TRT drugs for what doctors see as the characteristics of normal male aging. Note that these are considered characteristics and not symptoms, because aging is not a disease. Also, it’s noteworthy that many of the top consumers of TRT drugs are actually young men. There have to date been no accepted studies on what should be considered a normal testosterone level for men. Yes, doctors know what levels are considered average, and it is possible to know if someone is below average, but there is no scientific evidence as to what levels are needed and are acceptable. So just because a level is lower than average, it does not mean that any medical intervention is warranted or even beneficial to patients.